Technology connects you to greater experiences exponentially. Bringing the people around you closer and making the world around you clearer. 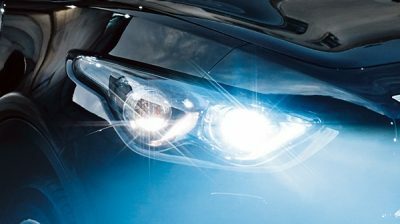 The LED Bi-Xenon headlights do more than impress – they extend your ability to see more by shedding light in the direction of your turn thanks to the Adaptive Front lighting System (AFS). Gain a new perspective on what’s around you. With the Around View® Monitor with Moving Object Detection and Front and Rear Sonar System, it’s easier to see and manoeuvre in even the tightest spaces. 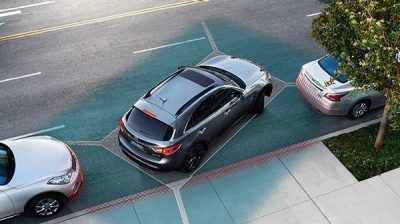 Four cameras and one virtual 360° view from above elevate your parking expertise, alerting you when a stationary or moving object is detected behind you or close by. 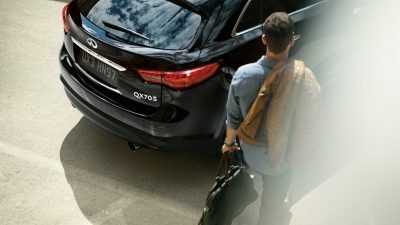 Recognizing you upon your approach, the INFINITI Intelligent Key lets you unlock the doors or rear liftgate. 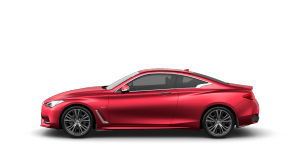 And as you enter, it slides your seat back for you and adjusts your steering wheel and outside mirrors automatically to your preferences. Empowering technologies are on alert, ready to help you respond and acting to help protect. 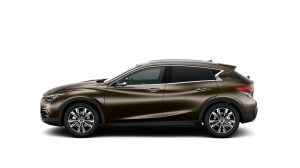 Forward Collision Warning looks ahead and if your distance to the vehicle in front is too close, it will warn you visually and audibly. 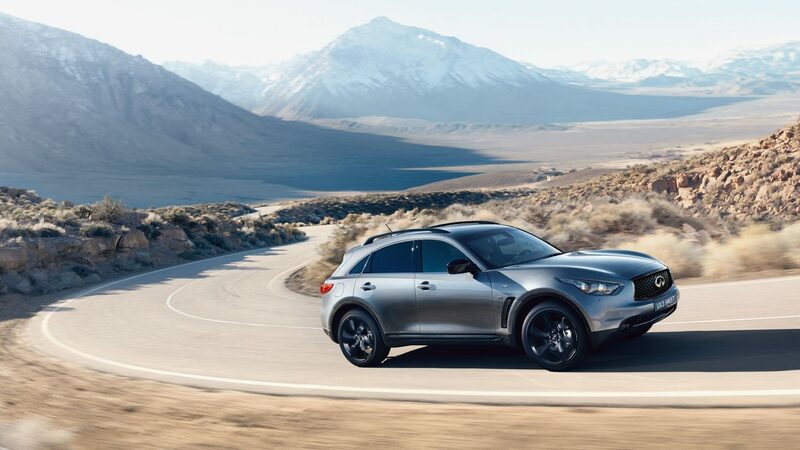 Set your desired speed and distance and Intelligent Cruise Control (Full-Speed Range) will automatically adjust your speed in slowing traffic. 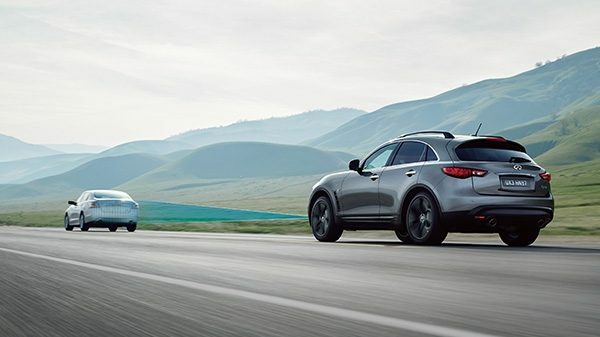 When traffic speeds resume, Intelligent Cruise Control will bring you back up to your preset speed and distance. 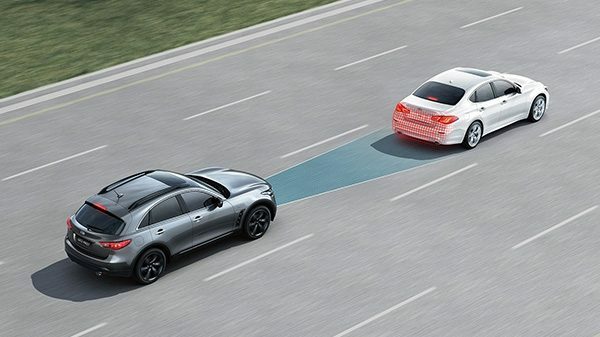 Lane Departure Prevention (LDP) warns if it detects you drifting from your lane. 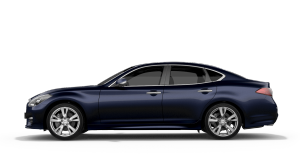 If the drift continues, it lightly applies selected brakes to help ease you back. But you never give up control as it’s designed to assist, not override. 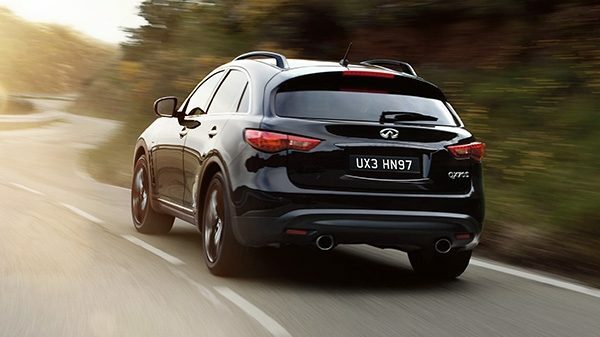 You live by your instincts and the QX70 will feel like an extension of yourself. 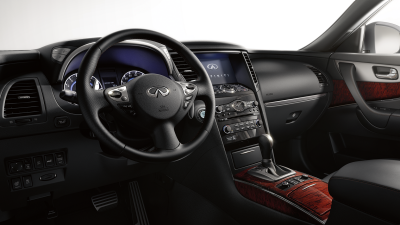 Smart systems are looking ahead, acting to assist and customizing your comfort, leaving you free to focus on the drive. 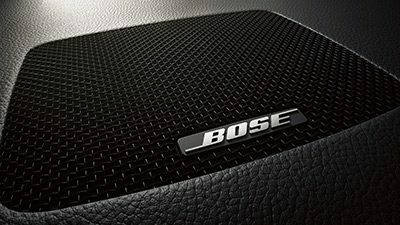 With 11 speakers, including two subwoofers, the Bose® Premium Audio System delivers your music with captivating depth and astonishing clarity. Listen to your favourite music through one of many ways. 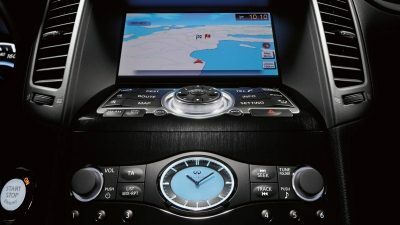 You can play CDs, DVDs, and stream music from a compatible Bluetooth® device or SiriusXM Satellite Radio, or connect and control your iPod® via the USB port. 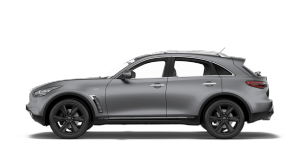 The INFINITI Hard Drive Navigation System helps you easily reach your destination through an elevated and realistic perspective of The INFINITI Hard Drive Navigation System features an elevated and realistic Birdview™ perspective to help you easily reach your destination. 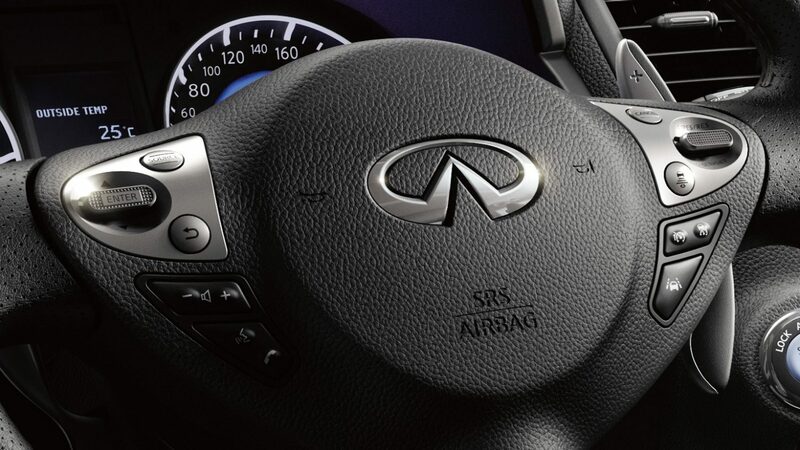 Just as you don’t think about breathing, the Advanced Climate Control System1,11 adjusts without you asking. 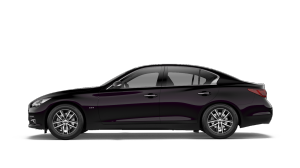 Constantly monitoring the incoming air, it senses outside fumes and automatically closes the vents, recirculating purified air throughout the interior. 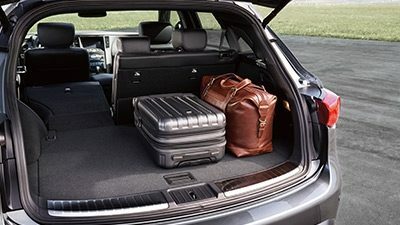 When you arrive with luggage, automatically open the power rear liftgate with the push of a button from the location most convenient to you—the liftgate handle, lower dash or Intelligent Key. 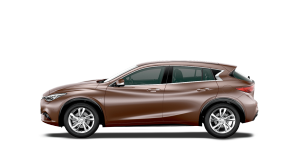 Closing the liftgate is just as simple.